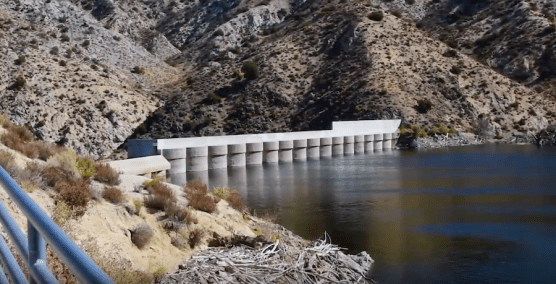 Palmdale Water District (PWD), in collaboration with Angeles National Forest and Friends of Littlerock Dam, will hold a joint Littlerock Dam Community Information & Tour Day at 10:00 a.m. Saturday, April 6. The meeting will be at Jackie Robinson Center 8773 E Avenue R, Littlerock, CA 93543, followed by a brief tour of the dam in the afternoon on a charter bus. The purpose of the meeting is to update the community on the status of PWD’s construction at the dam and answer questions regarding issuance of the Angeles National Forest Closure Order for Littlerock Dam and surrounding area # 05-01-18-08 (https://www.fs.usda.gov/alerts/angeles/alerts-notices/?aid=50588) The order prohibits recreation activities in the area due to hazards presented by ongoing construction in the area. This Order became effective Dec. 11, 2018 through Feb. 1, 2020. The dam will be open to the public only on April 6 for people who attend the morning meeting and register in advance. Personal vehicles will not be allowed into the dam due to space limitations. This will provide the public an opportunity to learn why the site is not safe for recreation activities. Much of the area is inundated with water from the winter storms that started in early January. PWD was in the middle of constructing its grade-control structure as part of the Littlerock Sediment Removal Project when the site was flooded. The concrete grade-control structure must be in place to protect the federally endangered arroyo toad before sediment can be removed. The contractors have halted work but were unable to move large pieces of equipment, which they will use once more when they return in the summer to continue construction at the site.